The occasional heavy downpours did not dampen the enthusiasm and passion of the organisers and delegates attending on the day. We kicked off at 7am with registration and breakfast provided by Melbourne Grammar School catering department. 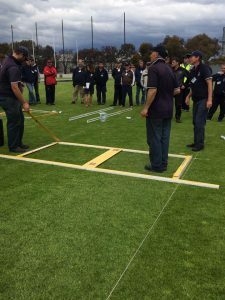 The objective of the day was to enhance the skills of each attendee in providing an improved delivery of a professional cricket pitch to local associations, schools or councils. 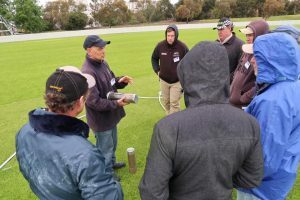 82 enthusiastic delegates led by John Shannon and Chris Cay moved in groups from activity to activity gathering information and knowledge on all aspects of building, preparing and maintaining a quality cricket pitch. Delegates from as far away as Mildura and Barooga attended to gather as much information as possible. It was great to see some students coming up through the system. 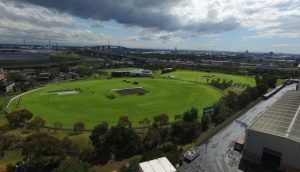 A huge thank you to Melbourne Grammar School for allowing us to use Flack Park. Thank you to Mentay our sponsor, Cricket Victoria, Chris Cay (Frankston City Council), John Shannon and his staff from Melbourne Grammar School – Joel Crimmins, Matt Richardson, Jon Perez, Peter Hodges, and Andrew Cordiner. 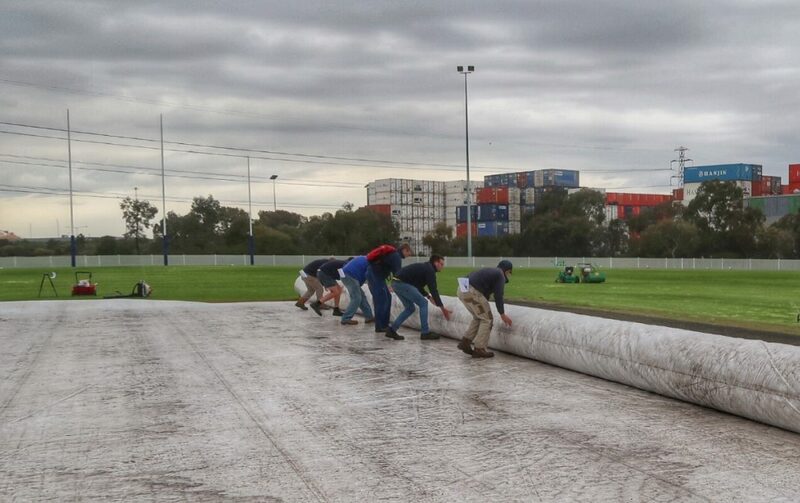 Also thank you for helping with the activities – Neville Treadwell (Globe), Ben Van Styn (Camberwell Grammar School), and Daniel Schwarze (City of Casey). Stay tuned for the next Field Day! Hi, I was unable to attend this pitch preparation session but very keen to do so in future. Is there another scheduled or at least could I be on a newsletter to learn when one becomes available please? Could you please send me an email with your contact details and I will add you to our database. We are planning future events but no dates as yet.